Architectural decorative ornaments greatly improves the appearance of your interior. They make your interior appear more personalized and more unique. We offer a wide variety of decorative interior products made from High-Density Polyurethane or Wood, which will not only make any room beautiful, but will also make it more comfortable to live in. 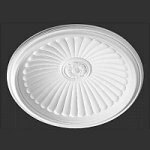 Choose from our crisp, clean detailed decorative art such as ceiling medallions, brackets, polyurethane beams, art niches, and ceiling domes to make your rooms stunning. An inexpensive way to achieve the traditional old world look. 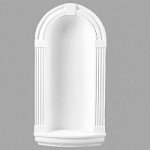 These decorative Ornaments are perfect for all sorts of remodelling and designing projects to greatly enhance interiors.